3D printing has the potential to transform the world in many positive ways, by simplifying manufacturing, shortening supply chains, democratizing production, creating jobs, reducing waste, customizing products to our needs, and producing radically different products. Most uses of 3D printers will be legal. But 3D printing can also be the devil’s playground. Like anything else, 3D printing has a dark side, and some people will be drawn to it. The European Parliament, the second largest democratic electorate and largest trans-national democratic electorate in the world, met this week for the second Additive Manufacturing and 3D Printing European Conference, where it highlighted the pressing need for a common European strategy to advance 3D printing research, materials, education, market value and overall technological development. At the 2015 Additive Manufacturing and 3D Printing European Conference, the need for a common, trans-national strategy became obvious. Now, at the 2016 Conference, high-level representatives from companies, institutions, and the machine tools sector gathered once again to put a plan into action. 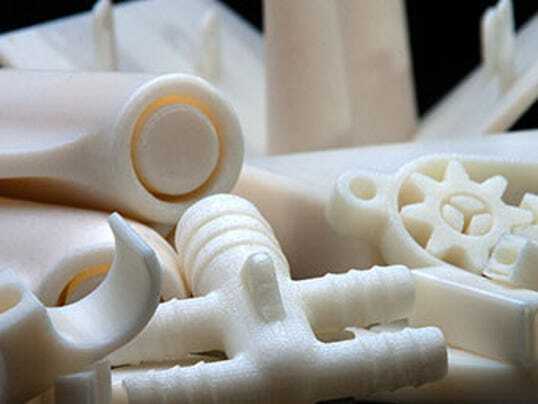 Is 3D printing the catalyst for true on-demand manufacturing? Two recent announcements from HP and UPS may mark the beginning of a fundamental change in manufacturing on a scale not seen since the Industrial Revolution. Although on-demand manufacturing isn’t exactly new—companies like Fast Radius (formerly CloudDDM), Proto Labs and 3Dilligent have been offering it for years—the entrance of major players like HP and UPS into the on-demand market could be game-changing. Why would the world’s largest package and delivery company care about 3D printing? The answer is logistics. Although 3D printing could eventually make physical deliveries obsolete, right now 3D printing services still need to ship their products. Rather than being eventually cut out as a middleman, UPS is aiming to stay ahead of the curve. The company recently announced that it will launch a distributed, on-demand manufacturing network using the Fast Radius On-Demand Production Platform and SAP’s extended supply chain software. The goal is to network 3D printers at UPS Stores in over 60 locations throughout the US with Fast Radius’ 3D printing factory, integrating 3D printing into the existing UPS supply chain model. Given that UPS is a minority investor in Fast Radius through the UPS Strategic Enterprise Fund (SEF), its choice to partner with this particular on-demand manufacturer should come as no surprise. Indeed, one can’t help but wonder how long this deal has been in the works. Author Supercharg3dPosted on 26th May 2016 3rd March 2019 Categories Supply Chain ModelsTags Logistics, On-Demand, Supply chain modelLeave a comment on Is 3D printing the catalyst for true on-demand manufacturing? Multinational security service company G4S have issued a warning about thieves who are using 3D printed security devices to disguise cargo thefts. 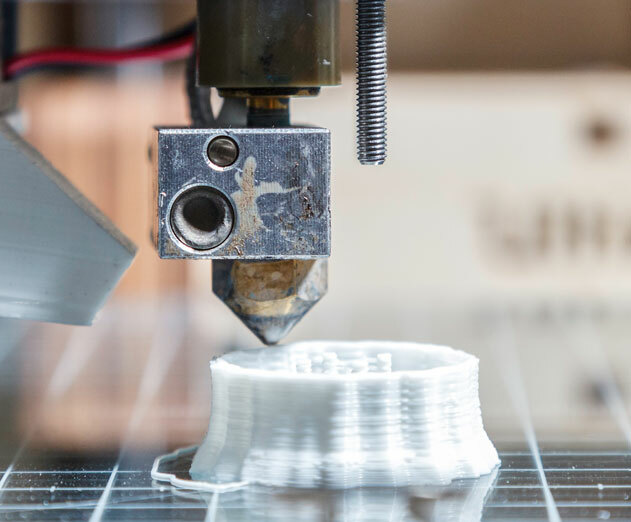 Crimes are committed by using 3D printers to create counterfeit copies of security devices, such as ISO 17712 high security cargo seals, locks or padlocks. Someday, the dusty back shelves of America’s warehouses could be replaced by UPS and SAP-enabled 3-D printing. We should start with some definitions: 3D printing, less commonly known as additive manufacturing, is a process to make things in layers using plastic, metal or resin. Those who immerse themselves in the technology believe it has the potential to turn manufacturing on its head because it plays havoc with the traditional supply chain, shortens product development and removes costs. Even with all its change-the-world promise, 3D printing still needs to clean up some problems, namely the process is slow, expensive and has a steep learning curve. Those obstacles are already being addressed if not hurdled in the near term. For example, HP’s 3D printers use thermal inkjet arrays and multiple liquid agents in a process called Multi Jet Fusion, said to be 10 times faster than today’s standard machines. And Carbon’s speedy Continuous Liquid Interface Production 3D printing technology is referred to by some as a game changer. 3D printing is poised to upend a lot of manufacturing and supply chain models that are entrenched in many industries, but the impact may be much wider than that. In this recent Harvard Business Review article, the author suggests viewing the potential of 3D printing through an unexpected prism: taxes. Channing Flynn, an international tax partner at Ernst & Young, as well as the company’s global technology industry tax leader wrote the piece, and brings up a number of good points that could trip up companies adopting 3D printing as well as their respective governments. Exactly how – and how quickly – 3D printing is adopted will obviously vary by industry and company, but Flynn’s piece outlines some of the competing economic priorities that will affect how widely the technology may be adopted.